Miller has a the throw of an immortal – something that would not be out of place in the new Wrath of the Titans movie. The first came all way back to him, but he played to Power who crossed superbly, gosh Josh Gowling flicked on, Louis supplied a deft touch for the onrushing Bore to hammer a howitser from eight yards passed a startled Hedges – a rabbit in the headlights. Another Miller throw saw Hedges flap and Thomas deflect home his first own goal of the proceedings. After the break it was stretch armstrong Miller again causing havoc with one of those throws the ball was half cleared, he took the ball back in his stride and was felled by Collins just as he was about to go for glory. Power thumped the spot kick home for 3-0. On 81 minutes power fed an otherwise quiet Danny Lloyd, but before he could get a touch on the ball Thomas got his barace of OG’s by directing his attempted clearance passed Hedge. 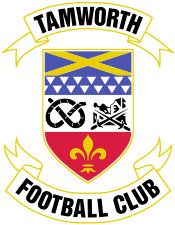 Stockport County, Lincoln City and AFC Telford could do themselves some massive favours against Kettering Town, Tamworth FC & Darlington today as the BSP basement battle enters the final six games. 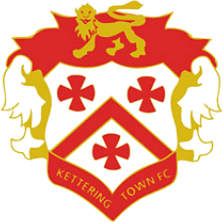 Kettering could of course have any sporting chance taken from them by the courts, but that did not stop them beating the Imps one nil with just enough of an unpaid squad available to field 2-3 subs when they first faced a winding up order a few months ago. Stockport, with a defence to stress the Dalai Lama, would finish them with a win and do enough to put the fear of back -to-back relegations behind them. Saviour Jim Gannon is back and walking across water. A four nil win over Bath last week eased the nerves after another 5-o humiliation at Southport. Some fantastic support witnessed the shame in huge numbers, hats off to the Hatters from the heart of Impdom! Darlington fought back to 2-2 against Wrexham before going down 2-4 in front of 1401 disillusioned fans. That is understandable, the aptly named Quakers have lost 3 on the trot with Kidderminster (1-3) and Ebbsfleet (0-2) adding to their woes after a 1-1 draw against Luton and another 0-1 reverse against relegation rivals Stockport. Since the 10 point deduction for their umpteenth admin thanks to the albatross of a stadium they have been in free-fall. Darlo may get the break they need as Telford are hardly the form side after that decent February run. They beat Forest Green 2-0 last week, but a 0-0 against Hayes, a 2-1 defeat against Kettering and a 1-4 loss to leaders Fleetwood; makes the 2-1 win over Kidderminster look a long time away. The Imps fresh from two wins over Newport (2-0) and Hayes (2-1) will fancy their chances against the far from gambolling lambs. Tamworth do not let many in but then again they are not exactly getting many at the other end either leading to six draws and one defeat in 7. The Imps have also seen lady luck given them some long overdue attention and 3 points today will finish the job with Louis & McCammon too strong for the lambs at the set-pieces that will decide a nervy low-scoring affair. For Stockport County, Lincoln City, Alfreton, Telford,Darlington, Newport County, Kettering Bath City and Hayes & Yeading the stakes could not be higher over the last 4 weeks. With 6 games, plus any in hand, to play save the Mighty Imps looks at the chances of each side in depth. They say the table never lies so that seems as good a place to start. The BSP basement battle is certainly on the home straight with Bath looking dead and buried and Kettering not far from it, especially if they are beaten by relegation rumble rivals Stockport today. Telford V Darlo is also another six-pointer that could change things with just 6 to go for most. Let us look at the individual teams chances, the games to play and the form that got them in this mess on a monthly basis. Cometh the hour, cometh the man and doubtless cometh the team. Pressure can do many things and throw form and probability out of the window when people are fighting for dear life and livelihoods in an economic depression. Luck also plays a part as Hayes will tell you. As will finances with Darlington down here thanks to a 10 point deduction and Kettering perhaps even going completely. Could that through the possibility of the BSP expunging results into the mix? Its still hard to tell but should not write-off anyone just yet, even though Bath do look down and out. Blackpool have recalled Louis Almond, who looked useful if given the chance. Although played out of position the supersub scored on his debut, magnificently steeling the show, not to mention salvaging a hard fought point against Braintree on a cold Tuesday night in February. His crisp, low 20 yard volley just inside the post tied the game at 3-3 as the wonderstrike got us out of jail with 90 minutes on the clock. 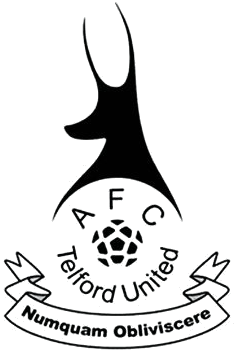 Louis followed that up with an assist for Jefferson Louis’ header in the 1-1 draw at Kidderminster but was withdrawn after 81 minutes despite having two shots saved in the 1-1 with Telford. Those were his only two starts as he got just 30 minutes against Mansfield where we started to look useful and got one back at the death and 37 minutes against Alfreton in a poor 0-1 defeat. This is the third time that this has happened to Reg, with Blackburn and Leicester City electing to take youth loans back after seeing them rotting on the bench. Game time and the opportunity to earn some valuable experience has to be the major contributing factor to any clubs decision to loan players to sides lower down the pyramid. Though you may be able to get them cheaply or perhaps even for free, you have to reciprocate to some degree and keep your end of the bargain, or they will be reluctant to do so again. Good luck Louis, you looked useful, despite being another extra in a huge cast, albeit played out of position on the wing in a struggling side, devoid of much invention. The Lambs have lost just one in their last 6, with no wins in 7. But statistics can be deceptive if we think we are the form team here as these have come against the tougher sides in the division. Tuesday night’s 1-1 draw against Grimsby Town followed a 1-1 with Gateshead and two 0-0 draws versus at Kidderminster and Grimsby. They narrowly lost 0-1 against Mansfield after a credible 0-0 against York. A 0-3 reverse against runaway leaders Fleetwood apart, the Lambs have a defence to be reckoned with. So will we serve the Lambs up with some mint sauce? Its hard to judge, but let’s at least have a look at the form of the foe. The Lambs lean & mean defence will be slightly less stable this Sincil Saturday as skipper and ex-Imp Paul Green will be missing having picked up his ten yellow card of the season last week against Gateshead. The two game suspension saw him miss Grimsby on Tuesday and a homecoming on Saturday. Back in October Green and his Tamworth side demolished us 4-0. We will have to watch out for two very accomplished wingers in Thomas and left footer Barrow. Jean-Paul Marna will be the main threat in the absence of 35-year-old top scorer Christie. Both have bagged 9 this season although 7 of Marna’s came for Kettering. Darlington docked 10 points for entering admin & Kettering Town deducted 3 points for breaching league rules. Jonathan has an impressive 11 shut outs to his name this season. moved into Blue Square North at the end of the season! Don’t let any Cockney tell you otherwise because they are not telling you the truth! But we aren’t here to talk about debates, we are here to talk about the Mighty Imps! diaries and scrapbooks, for the Barnacles Greatest Hits. A Lull Before the Inevitable Sincil Storm? No one can be sure of the effectiveness of the fans protest , but Saturday’s demonstration and media coverage has certainly put the club and its ‘supporters’ plight into the public domain. Even local businesses and of course publicans were quick to point out how falling gates have further impacted cash flows that are already under strain given the economic downturn. Some quite naturally feel that two wins on the spin will see the anger placated, but in reality the die is cast and this is very much a lull before the storm. Mr Dorrian, the Holding company and the Supporters Trust, have alienated themselves from a now far from faithful, with a lot of bridge building to be done to say the least. The suspicion, with regard to agendas and intent, will need a lot more than a papering over the cracks to heal a gaping wound that goes to the heart of a football club we so dearly cherish. Even BSP survival it seems will not be sufficient to stem the tide and with good reason. The club has yet to placate fears over a further £150,000 shortfall mentioned at the time of our ring-fenced salvation. The fact that only 1840 Imps still cared enough to turn up last week suggests we may be lucky to get 700 season ticket holders this summer. With 200 of them being U16’s at £14,000 and the remaining 500 at a maximum of £300 each, that would only give us another £164,000 towards the budget. Even adding the commercial income, how can we put out a team for say £300,000 given the downside we are carrying forward? Clearly there has to be a big cash input and quick at Sincil Bank. Donning my rose tinted spectacles, perhaps that is why one of the directors & Holding company members accountancy firm has taken on doing the books at the Bank according to the WHOSWHO here. The crux of course is that Bob aside, none of the current hangers on appear to want to dig anywhere near deep enough to actually fund a side to restore our football league membership and pride. Yet still the Trust gave away the crown jewels to the holding company for nothing, well aside from some token value of just 10p per share on just over 50% of the shares. As to the value of those out side the company who knows, for they are as in the dark as the rest of us. Those of us that still go are all still very much the minority in every sense of the word – we lack the power as the people of Lincoln and its fans scratch their heads at a community club gone sour. With such a simmering distrust, this week’s positive results on the field have given us nothing but a lull before the storm. 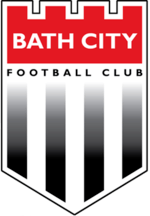 In the BSP relegation rumble Darlington and Bath City are fading fast after 2-4 and 0-1 home defeats to Wrexham and York City respectively. The Imps eased our relegation woes with the 2-1 win at Hayes, although we should not count Bob’s chickens as Newport have 2 – 3 games in hand and Alfreton and Telford both continued to climb with 2-0 and 2-1 wins over Ebbsfleet and Forest Green Rovers. Darlington are 5 points adrift of Hayes and 6 points and 10 goals short of overhauling Newport, who have 2 games in hand, for a chance of salvation. Then again the visit of Wrexham was never going to be an easy task. The Quakers were 2 down thanks to goals from Speight and Knight-Percival before Rundle and Bowman fought back to level terms. Pogba and Speight, completing his brace from the spot, left the 1401 in attendance heartbroken. Bath need 11 points, just 6 games to go, to even move out of the relegation zone, although the targets Newport, also have 3 games in hand over them. A McLauchlin decider after 50 minutes made their task almost impossible with the visit of runaway leaders Fleetwood next up this weekend. Darlington go to Telford on Saturday for what has to be a must win game of Cup final proportions. Telford will be home and dry you would feel if they take maximum points, whilst Darlo’s fat lady will be singing for the umpteenth time in another troubled year on and off the pitch. Kettering play Stockport in another game that will go a long way to deciding both sides fate, as we enter the home straight with just 6 games to go. 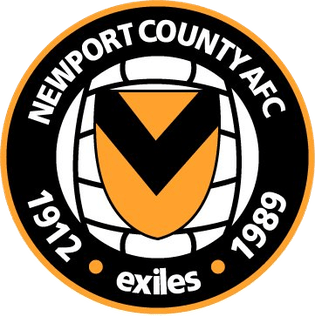 Newport entertain Gateshead in another must win whilst the Imps entertain Tamworth in a rich vein of form and fresh off the back of a 1-1 with Grimsby. Hayes will not fancy their chances at Stockport with the sands of time running so short and Alfreton go to Braintree, but you have to feel they are already halfway there after a terrific run thanks to some ambitious investment in the team since the winter window. 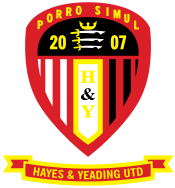 Joe Anyon, was the hero yesterday, making some fabulous saves to keep the Imps in the game, as Hayes and Yeading United threatened to run riot in the opening minutes of the second half last nights BSP basement battle. Hayes, far smaller than the Imps man-for-man, not surprisingly elected to play the ball on the ground for much of the game. The game plan came to fruition from the opening whistle in the second half. They outwhitted our midfield and defence time and again with Anyon coming to our rescue magnificently. Joe denied O’Brien in a one on one, making himself big to save with his fee. Seconds later, with us all at see from some sublime one-touch stuff he made a double save from O’Brien and then Wishart, a thorn in our side throughout. Wishart then saw an effor bounce awkwardly but well above average Joe was having the game of his life. Miller certainly adds some spine to a defence that also saw Gowling put in a positive shift, but it was Joe that would keep us in the game until lady luck intervened courtesy of the opposing keeper. Arnold failed to clear, by playing intead to Louis who stroked coolly home. Anyon was denied a clean sheet as we failed to pick up Pele – as if – who headed an equaliser before Arnold again gifted us the lead. As the keeper flapped at a cross, Miller headed masterfully inside the right-hand post for 2-1 with all three goals coming between the 68th and the 72nd minute. Stung by the injustice of it all Hayes continued to pressure for an equalier. Miller and Joe continued to defy them. Anyon was alert to another passing move that outfoxed our back four with five minutes on the clock. He needed Miller’s help a minute later as he headed Mingoia’s cross into touch, with roasted Robson realing. At the death Anyon punched clear and then seconds later claimed from beneath his crossbar with Hayes conceding that it was to be the Imps number ones night as opposed to their own. Well played Joe – Safe The Mighty Imps ran the headline that you are not a one man team last week. You were pretty close last night.